Discount still available for 2018 Teams! Teams who participated in iGEM in 2018 may still eligible for $2000 off your first OT-2 robot before the end of 2018. 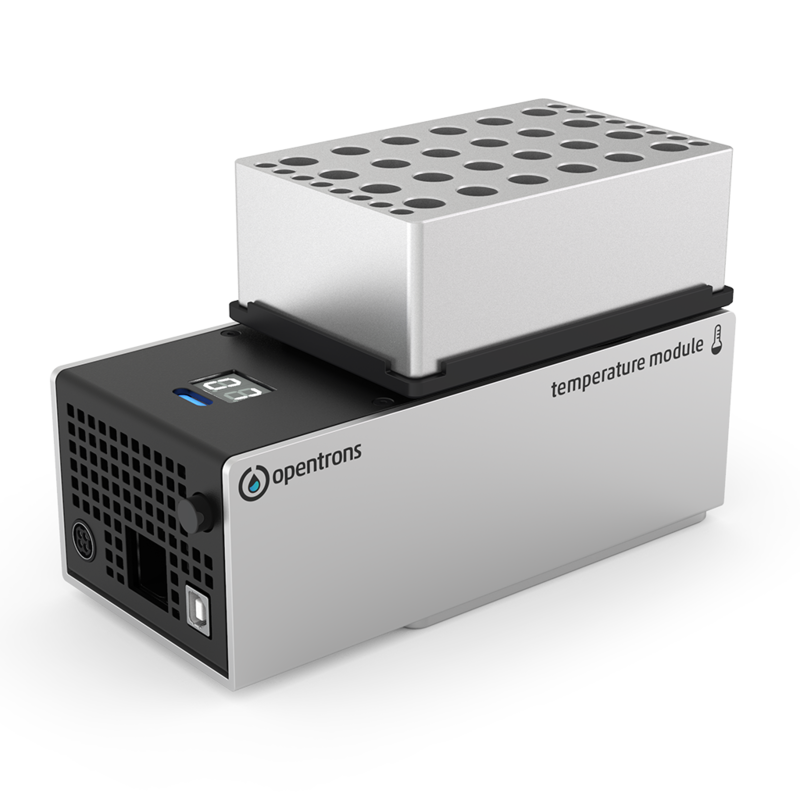 Contact Opentrons directly about this offer by emailing info [AT] opentrons [DOT] com. Offer ends on December 31, 2018. Bringing low-cost automation to all iGEM Teams! 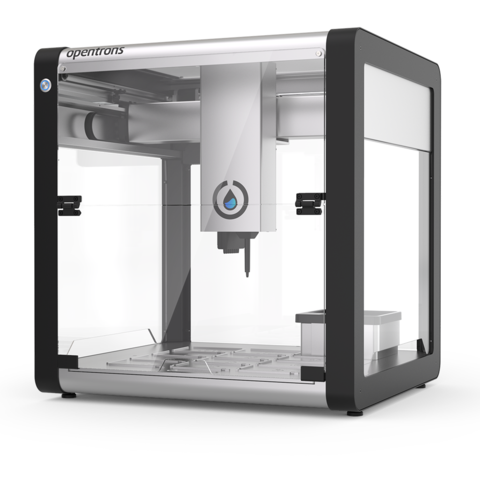 Opentrons launched its first robot as part of the Genspace Community Lab iGEM team in 2014. The first day of our Kickstarter was the first day of the Giant Jamboree, and we got a huge boost of support from the iGEM community when we showed off the OT-One. Now, four years later, we could not be more excited to be partnering with iGEM to support 2018 teams with our next generation robot, the OT-2. iGEM teams that participate in the InterLab Measurement Study are pioneers of reproducible experimentation, setting the replicability bar higher for all types of life science labs, iGEM teams, and synthetic biology professionals. Increasing scientific reproducibility is also part of Opentrons’ core mission. We believe replicating a lab’s experimental results should be as simple as downloading a protocol and hitting run on your robot. This is why an Opentrons & iGEM partnership is such a good fit -- together, we can move towards new standards of reproducibility faster than we ever could alone. To work towards this goal, our plan is to give 10 iGEM teams the means to automate many of the most common protocols done as part of the iGEM competition. Armed with the robot and modules necessary to run protocols like transformations, ligations, digests, and more, iGEM teams will be able to test our thesis that running experiments on a common automation platform improves reproducibility between labs. The data produced from these teams -- as well as the protocols and open-source integrations they make -- will be an important contribution to the broader scientific community and will inform Opentrons' product roadmap going forward. Opentrons has announced the 10 winners of their Robot Challenge! Congratulations to the following teams: Makerere Uganda, NCKU Tainan, SJTU BioX Shanghai, Newcastle, Duesseldorf, Marburg, UIOWA, Queen's Canada, Stony Brook, and Tec-Monterrey. We are excited to provide ten (10) iGEM teams with free OT-2 robots through this competitive application. Submission is easy: After your team is registered and approved by iGEM, fill out the application to be considered for one of ten (10) free OT-2 lab robots to be given away to competition teams during the 2018 season (Value of $10,000 per team! Includes 2x electronic pipettes and 2x TempDeck modules). Winners will be selected based on how their planned work with OT-2 will impact society / the world and contribute to the scientific community at large. We are excited for things like new reproducibility data, additional protocols uploaded to the Opentrons Protocol Library for all to use, open-source integrations with other hardware and software, and impactful projects that make the world a healthier, happier, more ecologically sustainable place. Only one (1) submission per team is allowed. To be considered for an award, your team must be registered, accepted, and have paid the registration fee for the 2018 iGEM competition. All submissions are due by May 1, 2018 at 11:59PM EST. Teams that do not win free robots are still eligible for $2000 off your first OT-2 robot through 2018. All other questions should be directed to iGEM HQ. Awardees will be announced on May 14, 2018 and contacted via the email address provided in the application to arrange for shipment.